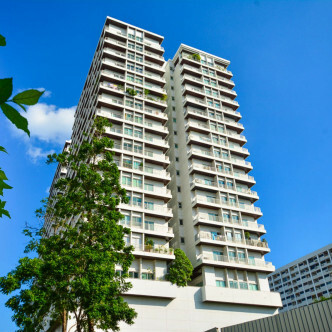 Each of the 220 spacious units that are set on 21 floors boast hardwood floors and come fully furnished. 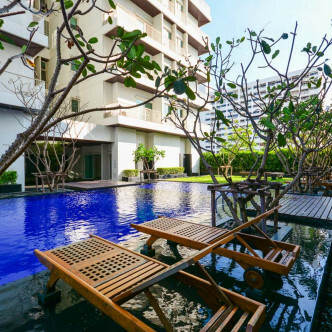 The building also offers plenty of complimentary parking spaces for each of the residents, while the stylish lobby is manned by friendly staff that help to add an extra touch of class to Noble Ora. 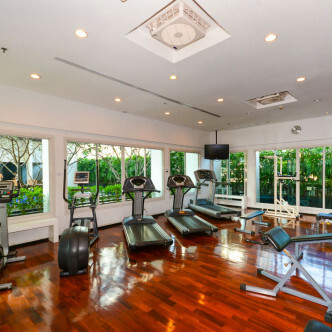 The facilities match the tone and standard of the rest of the building and feature plenty of luxurious touches. The large outdoor swimming pool is particularly striking and is surrounded by sun loungers that appear to be floating on the water. The indoor children’s play area offers a colourful and imaginative space for kids, while the fitness centre is loaded with a range of different types of equipment. 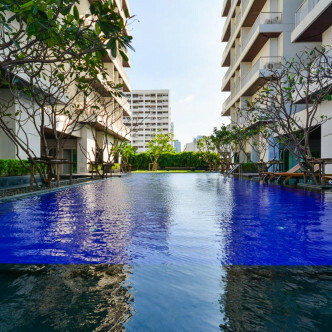 The building is set in a vibrant location and residents will find everything they need right at their fingertips. 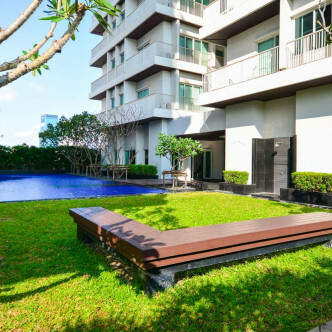 While Thong Lo BTS station provides access to the rest of the city, the neighbourhood itself offers plenty of places to socialise and unwind such as J Avenue, which is packed with bars, restaurants and other types of recreational establishments.